blog.samseidel.org: Rich Doucette talks to us about The Boston Cup, and why the cars are the stars! 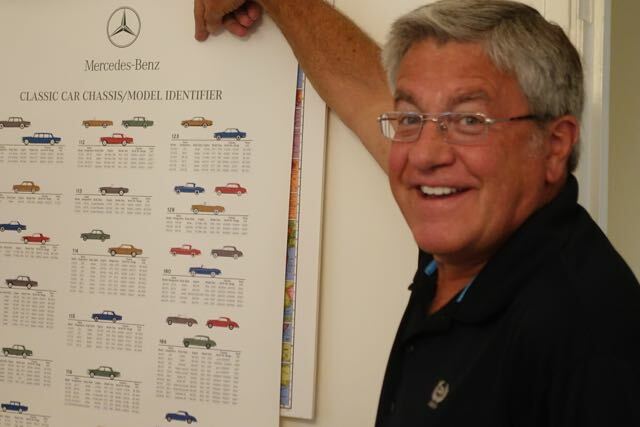 Rich Doucette talks to us about The Boston Cup, and why the cars are the stars! What is it about car people? Why are they just so crazy? "The unusual thing about this, that I consider highly unusual, is that these people who don’t need to do this, do it. 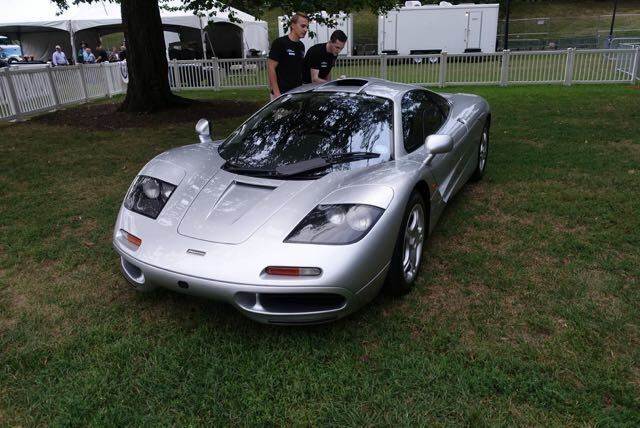 You’re driving in 100 degrees in an open car with a thin firewall, and it’s really 130 degrees and the sweat if flying off of you and you’re going to a car show." That's how Rich Doucette explains it and he ought to know. 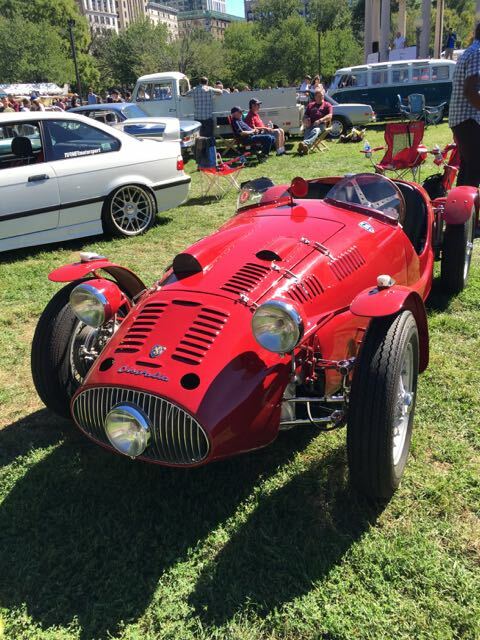 He's not only a car person, but every year he puts on the premier classic car show in New England, The Boston Cup. 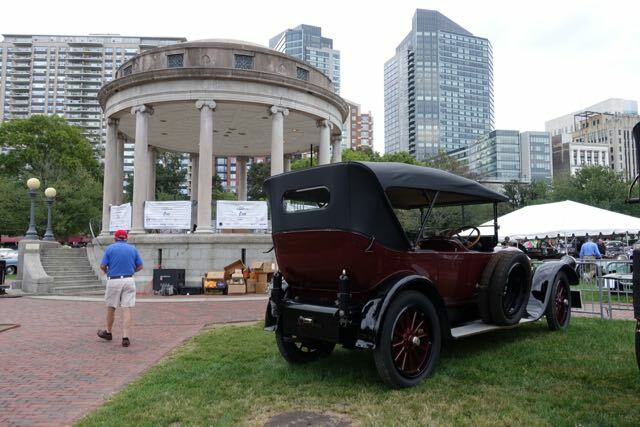 In the rarified calendar that includes annual events at Amelia Island in Florida and the granddaddy of them all, Pebble Beach in California, Rich has reserved September as the month when classic cars come to Boston. 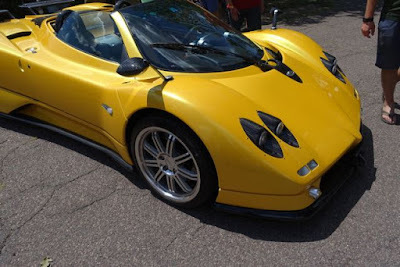 As he gears up for this year's show on September 25th on Boston Common, a show which will include a Pagani Zonda S and an elegant Dutch car called Spyker among many other goodies, I had the chance to sit down with him to hear about his love of cars, how he started The Boston Cup, and what we can look forward to this year. My first co-op job was in the ad business and I started as the mailboy and a lot of times I didn’t park my car there, but they needed me to deliver stuff or get packages or get tapes to the radio stations or printing plates to the Wall Street Journal. So the three partners, Connors, Hill and Cosmopoulas of Hill Holiday would have me use their cars. Jay Hill who was a Brahmin had an old Saab, Steve Cosmopolous who was a Greek had a giant station wagon and Jack Connors had a 1973 BMW 3.0CS. So when I got to drive that I said screw American cars! Two decades later, "I bought my first Mercedes and I’ve never had anything but Mercedes ever since. I like everything about them. And they invented the automobile, irrefutably!" That purchase opened a door for Rich that never closed again. “Without me consciously enlisting, I enlisted. Then I started judging." Judging is a different world, which raises all kinds of interesting philosophical issues. Is a rusty part that's original to the car better than a clean part that's a replacement? Does a car also need to be able to run or can it just be beautiful to behold? You start as an observer and you see what the judges do, and you see what they know and you look for what they’re looking for. If you can be a sponge, it’s not that hard, and then you notice that there’s repetition. And then in some cases you notice that you know more than they do. Which leads us to The Boston Cup. Back in 1999 up until 2002 there was a show every year at Castle Hill at the Crane Estate in Ipswich. Rich would go up there with his friends to see the cars, bring a picnic, have a great time. "That show blew me away. That was in 2002." But good things do come to an end and in 2003, "I called my friend and asked, 'What’s the date for the Castle Hill show?' and he said, 'Oh, they killed it. It’s gone. They’ve lost their venue.'" Losing a venue really is the kiss of death for a car show and Rich knew the Castle Hill show wasn't coming back, but when the Museum of Fine Arts exhibited the Ralph Lauren car collection in 2005, it got Rich thinking again, how could he get cars back to Boston? "We should take a little bit of what we saw at Castle Hill, we should take a little bit of what we saw at Ralph Lauren, put it in a pot, stir it up and figure out what we could do," he argued to some friends, but he knew they would have to answer some key questions, "Where could the venue be, what could the format be, what would the date be?" They made some decisions. Go for the same September date as the Castle Hill show. Go for the Boston Common. Call it the Boston Cup. The choice of the name was deliberate. “We didn’t want to start as a Concours, we wanted to have less pressure. So it’s a classic car show, which gives us flexibility on what we can enter and eases up the restrictions on the severity of the judging." Approaching the city of Boston in 2009 with the idea, they faced immense challenges. After three years of talking to everybody but getting nowhere, Rich was ready to throw in the towel. "I was almost giving up, then I ran into a guy named Harry Collings who used to run the BRA and Harry asked me how my car show was going and I said, 'Oh, it’s dead.' He invited me over for a cup of coffee, and I told him all about all of it." That was in May and by June 15th, he had a permit. That was the good news. The bad news was, he only had three months to pull together the inaugural show. Lucky for him, getting the cars there was the easiest part. "The car circuit is a lot like the PGA golf circuit. If you go to enough events, you get to know all of the players." The city gave the go-ahead for one year only, adopting a wait-and-see attitude. Needless to say, that first year went well. Now, going into our 5th year, the show is on much more solid footing. "Herb Chambers is showing his Bugatti Veyron and then we found a ’38 Bugatti, so we’ve got speed and style side-by-side and that’s the theme." They have a theme every year, Made in Massachusetts, Racing, You Don’t Often See This, were a few of them. To put on a successful car show requires a few ingredients. "You need manufacturing money from the car companies but you also need the largest retail car company." In New England, the largest retailer is Herb Chambers. "For someone like [him], this is the perfect fit for his luxury brands because it’s really an upscale lifestyle show that happens to have cars. So, it’s worked out well. He’s a great partner. Once Herb decides to participate, he’s been great and his people have been great." Then Rich tactfully adds, "Geographically, he’s the 800 lbs gorilla." Car shows also need cars and car owners love their cars. They are reluctant to hand them over to just anybody. They need to know "their baby won’t get hurt. You got to convince the people who own these cars." At the end of the day, a car show is a lot about trust. Interestingly, The Boston Cup is an LLC, not a non-profit. With no admission charge and very little cash flow and a goal of returning at least $25,000 to the Boston Parks, a non-profit structure just didn't make sense. The challenge every year is "not losing our shirts like we did the first three years." The interview is coming to an end. I want some wrap-up thoughts from Rich so I ask for his advice on choosing a car. His response is not what I'm expecting. "Pick the color you’d like. If they don’t like the color, then there’s no point." Really? Yes, according to Rich, it's the best place to start. "I have gravitated toward black cars for my daily drivers. It’s harder to keep clean, but its more ominous." At that point, he shows me a picture of him in the Batmobile. 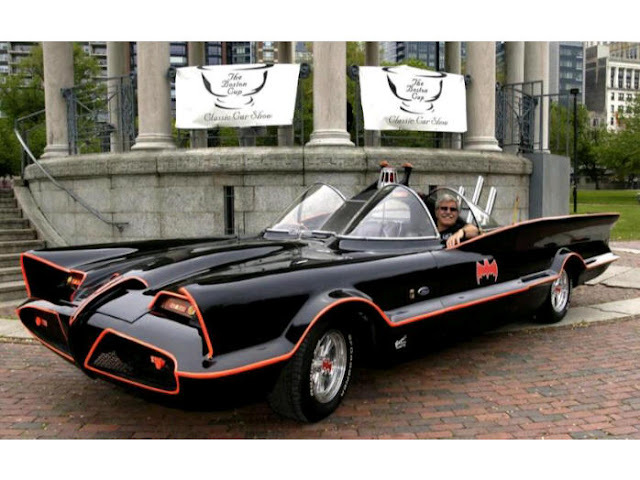 The literal Batmobile from the 1960s television show. “It was a piece of crap," he says unceremoniously before adding, "As a car guy, I know what my expectations are for a car show". The Cars Are the Stars is his motto and Rich Doucette works hard to make sure they shine by focusing on keeping his four constituents happy, "The city so that they’ll let us come back; the car owners so we have a car show; the sponsor so they are happy and renew; and the public who come and enjoy it." It's looking like another good year coming up.